The Unogwaja Challenge has a strong association with the United States that stems back to 2013 when Cindy joined the Unogwaja Challenge support crew after a freak encounter with John McInroy. 2014 then saw Cory Arcak join in with the support crew, a role reprised in 2015, and the relationship continued to blossom. Cory is doing great work in America and through these initiatives the impressive Chris Adams found out about. In 2016 Chris will become the third American to join team Unogwaja and the first to take on the challenge. I had a chat with Chris about all things Unogwaja. Jabu: Being based all the way across the globe, how did you find out about Unogwaja? Chris: I originally heard about Unogwaja in October of 2014. I was driving the SAG vehicle for a local half marathon and the director wanted me to meet this guy from South Africa. This is where I originally met John McInroy and Cory Arcak. I bought my first pair of red socks and listened about this crazy event in South Africa. When I got home I started researching the Unogwaja Challenge and I was immediately sucked in. Jabu: As the first American to be an Unogwaja (Excluding Support Crew) do you feel under any extra pressure? Chris: Once the selection was made I think everyone felt the pressure of what was ahead of us. I definitely feel the pressure of being the first American but I enjoy the push. The pressure of completion keeps me focused and helps me roll out of bed for those early morning training rides. The stress of living up to the standards of what being an Unogwaja means every day is much more difficult than the physical challenge ahead. Jabu: And being half way around the globe, how has the story of Unogwaja grown in America? Chris: The story of Unogwaja has been spread by Cory threw Red Sock Friday since long before I became a part. I have seen our Red Sock Friday numbers grow every week locally and my friends and family are helping spread the word. We are definitely gaining momentum as the challenge approaches! Jabu: When did you realize you wanted to be a part of Unogwaja? Chris: I knew I wanted to be a part of Unogwaja from the first time I was told about it. The more research I did the more I was drawn in. I am a believer of the message and I am always up for a challenge. To use my love of running and cycling extreme distances for such a great cause makes it even better. I had been looking for a way to give back to the endurance world in return for all it has done for me. After meeting John, I was driven to start my own program with a friend of mine. We were able to get the Lone Star Running Project kicked off last August and are currently on season 2. The basis of the program is taking youth (some from the justice system, group homes, and any from the community) and training them to run a half marathon over 12 weeks. This helps instill hard work, dedication and confidence that they can take with them to their next endeavor. There is no greater joy than to use something you love to make others lives better. Jabu: That is absolutely incredible and inspiring and we look forward to the growth of Lone Star Running Project. 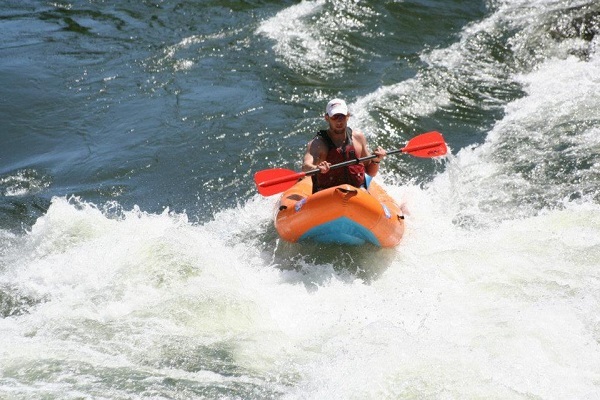 You mentioned your love for endurance sport, what is your personal endurance sport experience? 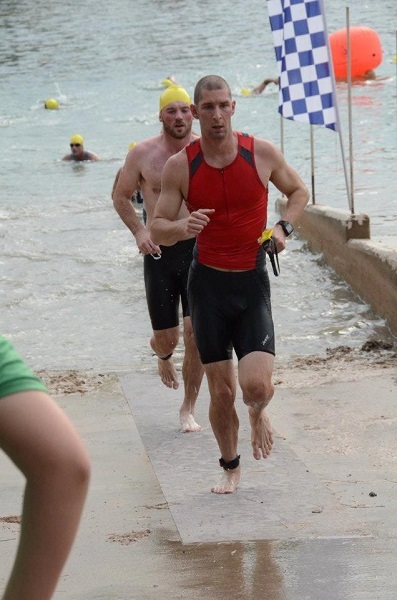 Chris: I have been a distance runner for over 18 years, started cycling about 7 years ago and triathlon 6 years ago. I am always looking for a new challenge to take me out of my comfort zone and push me past my limits. A few years ago my training partner convinced me to run my first 50k and I immediately got hooked on ultra trail running. While I am mostly labeled as a runner, I am just as comfortable (if not more) on the bike. My love for cycling started when me and a buddy decided to try to do our first hundred mile road ride on mountain bikes without training. It was (at the time) the most miserable I had ever been at an event and we couldn’t wait to do it the next year. Ever since then we have attempted a 100 mile or longer ride together every year. Running and cycling has helped me discover a greater appreciation for the beauty of the world. It has allowed me to see the world from a point of view that you can’t get any other way. Jabu: You also spoke about making a difference, why do you believe it is important to make a difference by taking part in Unogwaja? Chris: We are all connected. It is more apparent in some areas, but all over the world you see a trend of people only helping themselves. Some are never given the opportunity to succeed or don’t know how to go about gaining the opportunity. I believe in the mission to give people the opportunity to succeed is more important than giving handouts. Here in America there are many resources to help you pull out of whatever you are stuck in, and people don’t seek these opportunities out or push themselves to meet the requirements. I believe Unogwaja is an amazing example of giving people who want to succeed the opportunity and resources to better their lives. This mission can be copied all over the world to help entire countries pull themselves out of ruts. It is amazing what can be done once a small group decides to make a difference. I can only imagine what would happen if the whole world got involved. Jabu: Do you have any fundraising events coming up? Chirs: My big fundraising event is a dinner on March 5th. A friend of mine is helping host a 5 course gourmet dinner with wine pairing. In addition I have the amazing Cory helping me raise money. She has set up a booth at one of my races, selling valentines day packages and spreading the word. Jabu: Which person has made the biggest inspiring difference in your life? Chris: I have had many great influences in my life but the greatest has been my father. He has always gone to great length to make the world a better place in whatever way he can and did his best to instill that quality in me. I was taught to help anyone I can. To always push to make changes in the world for the better. In addition I was raised to always push the limits and find that next level of what I could do. He has been a huge inspiration in the creation of the Lone Star Running Project and my pursuit of becoming an Unogwaja. Jabu: What is the legacy you would like to leave on the World? 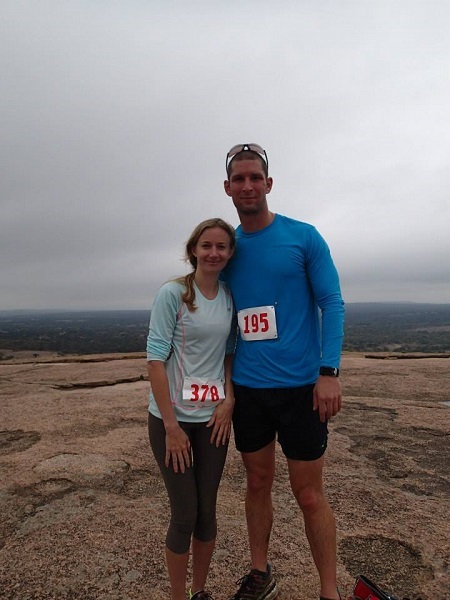 Chris: The Lone Star Running Project embodies everything I want to be remembered for. It requires mentors to dedicate their time and energy to share their knowledge and uplift the youth in the program. They work hard to instill confidence, discipline, a sense of hard work and community in every person in the program. These qualities are essential in changing the world. Every person we touch will continue to pass this on for the rest of their life. Through this we can change millions of lives. Jabu: And lastly where can our readers find out more about you? 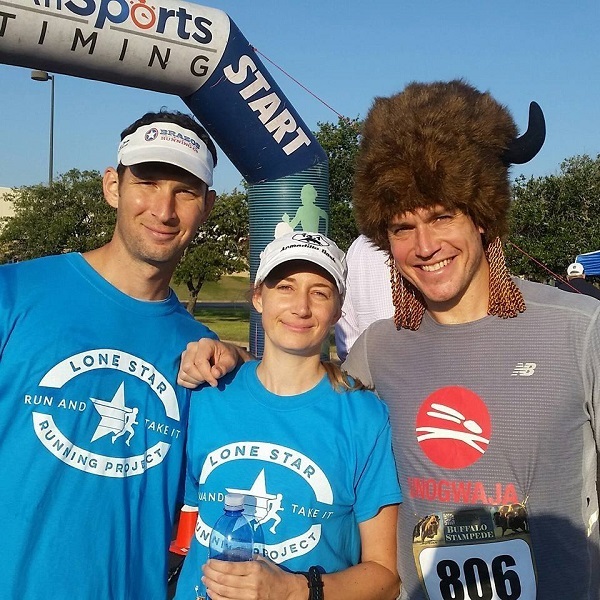 Chris: I keep a fairly low profile but anyone who wants to know more can contact me at chris@lonestarrunning.com. You can help Chris and the Unogwaja team raise their target of R2 million in order to empower the future of our country to empower themselves. Just click-through his link here. Also read up on our previous Unogwaja Interviews with 2016 Captain Nat, the team leader Stoff and the inspirational Amanda.